DSDW is the only dance studio in the area to perform a full length ballet in addition to traditional dance numbers at our annual recital. 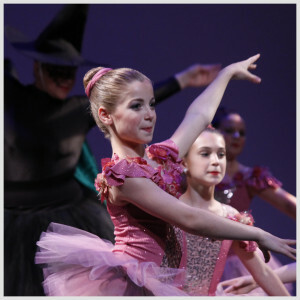 Our recital consists of three acts: Act 1 (The Big Ballet), Act 2 (Recital Dances) and Act 3 (More Recital Dances). The Big Ballet changes each year and is always a show that is appealing to families and children. Examples of past shows include Cinderella, The Little Mermaid, Snow White, Alice in Wonderland, and the Wizard of Oz. 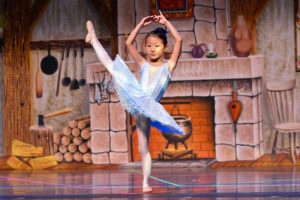 Our youngest dancers typically do not perform in The Big Ballet, as it is more demanding in terms of rehearsal time.